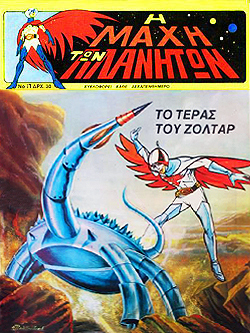 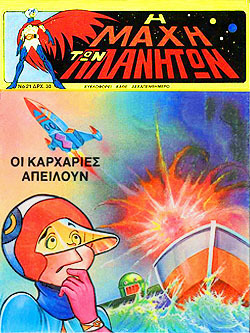 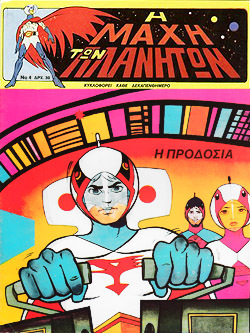 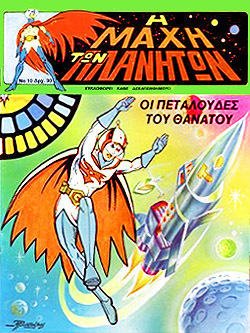 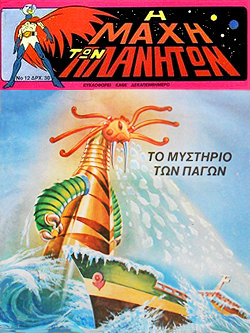 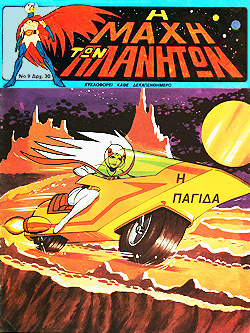 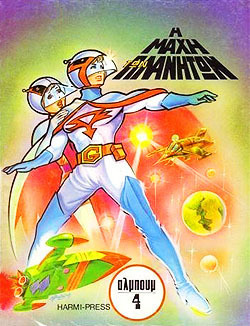 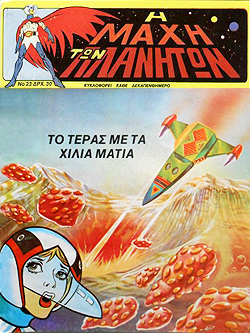 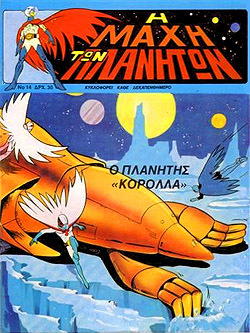 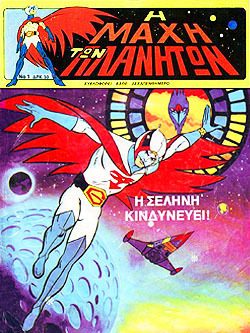 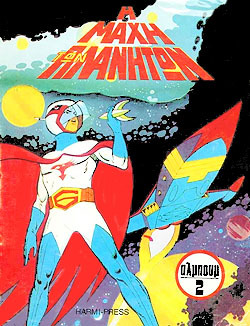 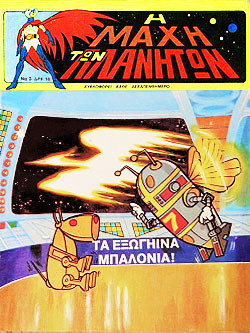 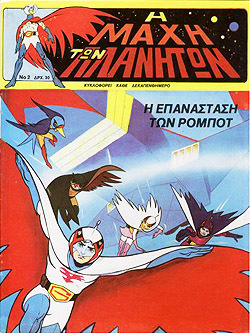 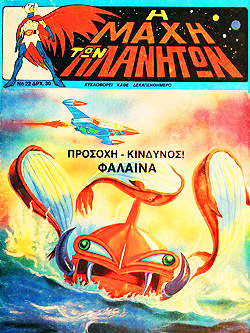 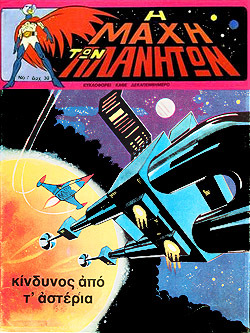 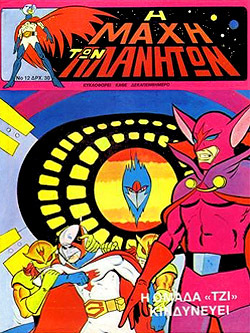 All 23 issues of the Greek Battle of the Planets comic magazine. 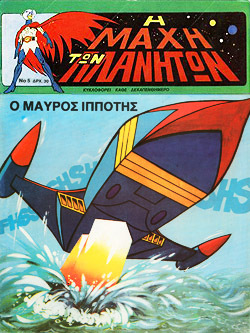 The magazine was published twice a month and included reprints from various French magazine comic collections. 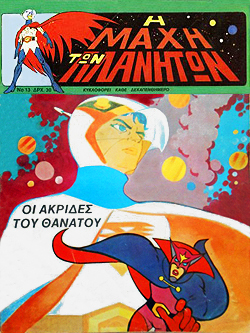 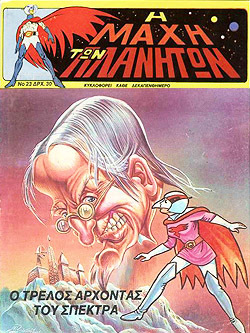 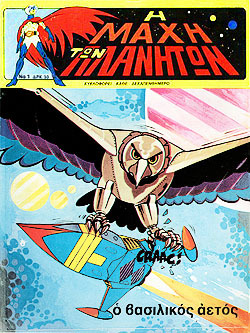 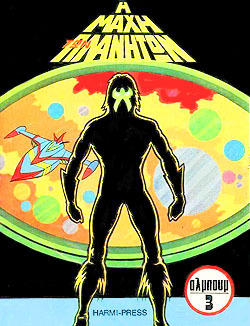 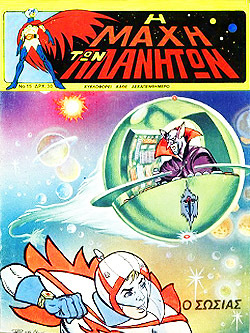 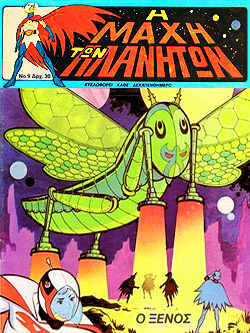 Some issues featured cover paintings exclusive to these comics (although the covers for 19-22 were based off covers 1-4 of the Spanish comics). 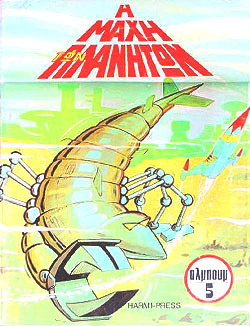 Published in 1981 by Harmi Press. 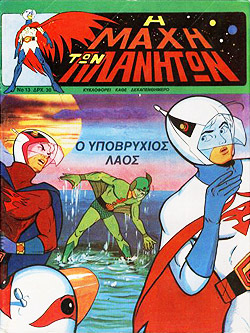 Volumes 2 through 6 of six collection books that reprinted the individual comic magazines depicted above. 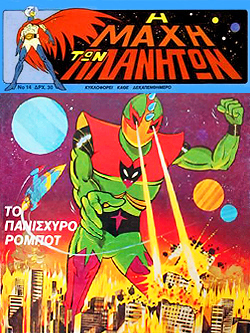 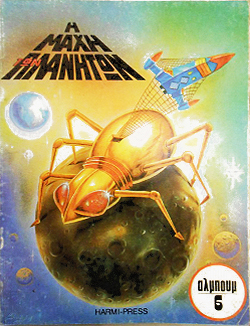 Each book contained three full reprinted issues. 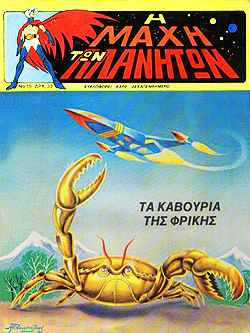 Published in 1981 by Harmi Press.